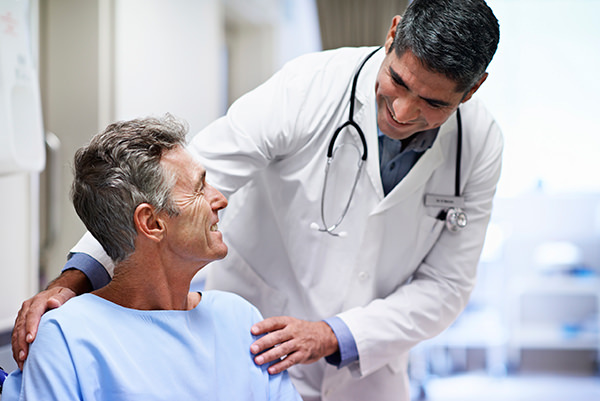 Healthcare workers and providers strive for patient’s to receive great experiences and bedside care. Aside from pride and human satisfaction, financial gain can result. Starting October 1, 2012, 30% of hospital Medicare reimbursements are directly based on the results of the Hospital Consumer Assessment of Healthcare Providers and Systems (HCAHPS) (Sherman, 2012). Patient experience and satisfaction now weigh heavily on reimbursements, thus making this as important as ever. Accountability for providing excellent bedside care is measured in most organizations to evaluate both performance and attitude. How can the FNP ensure their role with the patient helps the overall experience be positive? Patient’s enter our lives with trust and hope that we will in some way help them. Whether the help exists as medication for an infection, relief of pain or comfort during the dying process, this trust and hope is delicate and must be viewed as valuable. Before I move into the tips, I would like to say that after many years of successful practice at the bedside, I have always viewed the patient as a person who lives, breathes, cares, experiences emotion, grieves, suffers, cries, laughs, yells, acts out, swears, hugs and shakes hands. I have allowed these emotions to take place with no regard to my personal feelings, with the goal of helping the person in the end. One of my favorite phrases to share is Q-TIP – Quit Taking it Personally. Moving into nursing administration has placed me in a position where I frequently round with patients. Many times patients are upset or not satisfied with their care because they were not communicated with, felt they were rushed or never allowed to talk or ask questions. Now for the tips! Tip 1: This is the most important tip to bedside practice and one that can set the tone for the visit and experience. View the patient as a person by calling them by their name (Larson, 2014). A nice little tip is to introduce yourself to the patient and then allow the patient to introduce themself to you. This is a great way to learn how to say their name and what they like to be called. Tip 2: Focus on what you are doing at that exact moment. My pet peeve is when a medical person is in the room and commenting on all the other patients or work they need to do. This is just bad practice and is unprofessional. The last thing you want is for your patient to feel unimportant. Pay attention, focus and listen to your patient. Tip 3: Use open body language that is inviting, professional and yet friendly. Think of the person with arms crossed, standing back and rolling their eyes, versus leaning in slightly and smiling with arms to the side. Who do you want in your room as you discuss why you are depressed or what hurts? Be aware of how you may look to others. Tip 5:Validate patient feelings after listening and asking questions (Larson, 2014). After the patient tells you their stomach hurts constantly, making it hard to think and focus, a simple statement such as, “that must be hard for you to feel pain like that all day” validates that you understand what they are trying to tell you. Tip 6: Be honest about diagnosis, labs, needing to do more research or collaborating with another colleague (Larson, 2014). Pressure to explain why they are feeling the way they do can cause a misdiagnosis. If you are unsure, tell the patient this. Explain your thoughts, and keep them aware of what you intend to do to help them figure out their diagnosis. Tip 7: Be polite! Regardless of the patient’s reaction or response, they are still experiencing a challenge in their life. Remind yourself this is not about you, be polite, thank them for visiting and allowing you to care for them. Caring for a human life at the bedside is one of the most difficult, yet rewarding experiences a healthcare professional can have. From the simple headache to emergent crisis, we must do our jobs, yet treat humans like humans.